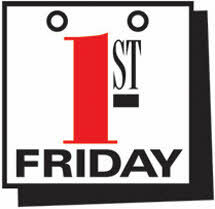 First Friday is almost here again! a BUNCH of artists in the Stutz Building will be opening thier studios to the public from 12-5. At 5PM in the StutzArtSpace Gallery the outgoing residents Malloery Marty and Brian Myers will be having thier opeing reception. The 2011 Indianapolis Artists and Dealers Association (IDADA) Members Exhibtion will be open at Wug's Studio and Garage.